When Sarah Taylor suspected that her four-year-old daughter, Nadia, had been kidnapped by Fawzi, her abusive ex-husband, Sarah's whole world was turned upside down. Shadowy CCTV from the airport showed Nadia boarding a flight with her father to Tripoli - and Sarah's worst fears were confirmed. No child abducted to Libya had ever been successfully returned to their mother in England; but Sarah was not going to let that stop her. Giving up everything she had in England, Sarah moved to Libya to fight for her daughter. 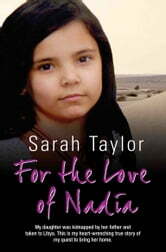 Fawzi managed to move Nadia secretly between his relatives for 2 years, attempting to hide her away. But a dramatic car chase through the backstreets of Tripoli finally led to the safe reconciliation of mother and daughter. 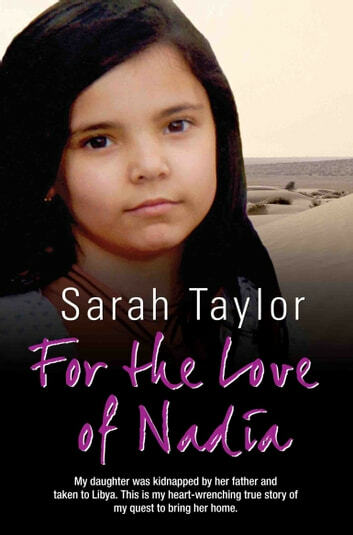 In a story of blackmail, embezzlement, secret police, a meeting with Colonel Gadaffi and the intervention of Prime Minster Gordon Brown, Sarah never gave up hope, and hers is an unparalleled tale of inspiration and courage. Sarah's experience is not uncommon, each year around 300 British children are abducted and taken abroad by a parent. Returning the child can prove impossible. Libya is outside of The Hague International convention on child abduction and Sarah was the first mother to successfully bring her child back - there are many parents still fighting. Foreword by Andy Burnham, who was Sarah's MP at the time, and is now Shadow Health Secretary.